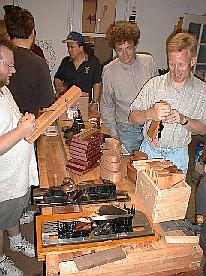 Well, once again Galootapalooza has come and gone, and all that is left are the memories of a fabulous weekend of galoot camaraderie, good food, and great tools! 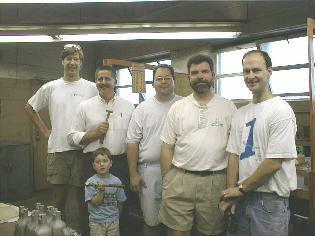 Left to right: Alan Graham (Ontario), Wes Groot (Illinois), Russ Allen (Illinois), Gil Chesbro (Michigan), our illustrious host Jerry Serviss (Illinois), Kelly Cox (Wisconsin), Tad Anhalt (Iowa), Tod Herrli and son Nathan (Indiana), Ralph Brendler (Illinois), Mark Van Roojen (Nebraska), Doug McLerran (Illinois), Joe Palazzolo (Indiana). Wes, Tod & Nathan, Joe, Gil and Russ elected to spend early Saturday morning touring ABC foundry on the west side of Chicago instead of sleeping in. A close-up of one of Russ's pattern boards used at ABC, with the finished product in front of it. 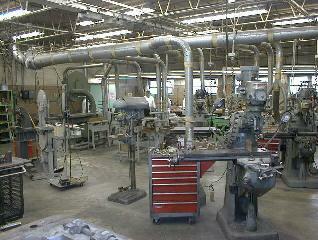 The ABC pattern shop, in all of its glory. 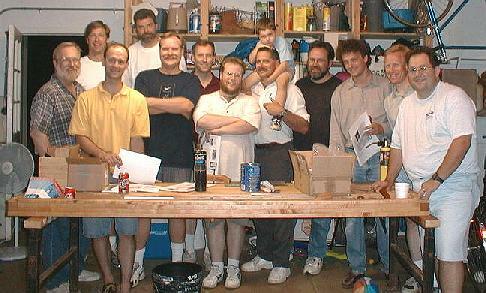 Off to Jerry Serviss's house and the Saturday night BBQ, complete with show & tell and demonstrations! 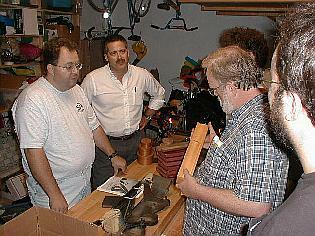 Here, Tad (left) and Doug (right) examine some of Tod Herrli's handmade molding planes, while Mark checks out the Shaker boxes Jerry, Joe, and Doug made. 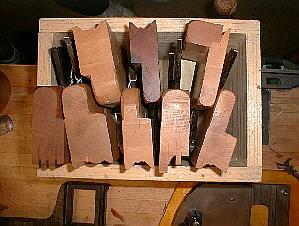 A close-up of Tod Herrli's box of planes. WOW! 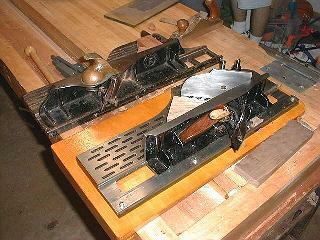 Incredible workmanship is clearly evident in each and every one. 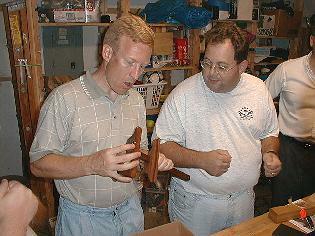 Alan Graham and Joe Palazzolo look over Tod's ogee panel raiser, while Tod answers questions. 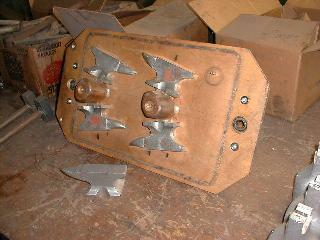 Patterns and castings for the #51/#52 were made by fellow galoots Russ Allen and Rob Kempinski. 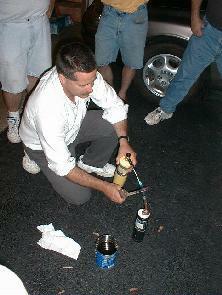 Tod Herrli demonstrates heat treating a plane iron in Jerry's driveway. 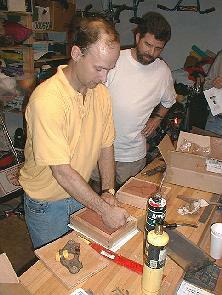 Russ Allen demonstrates how a patternmaker would make a copy of a tool (in this case a #71 router), while Gil looks on. Bright and extremely early Sunday morning, dawn breaks over Garfield Farm in La Fox. 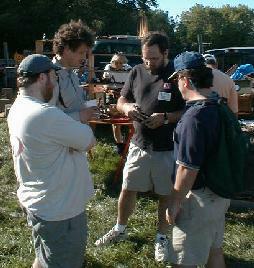 Here, Tad, Mark, Ralph, And Charlie check out one of the great deals from the MWTCA meet. 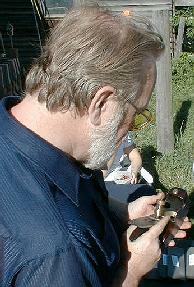 Alan inspects the mouth of a pretty Mathieson infill plane at the MWTCA meet. 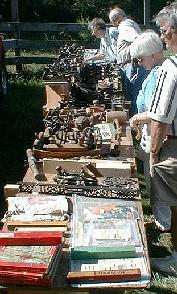 One of many dealer tables at the MWTCA meet. Back to the Galootapalooza Primer.